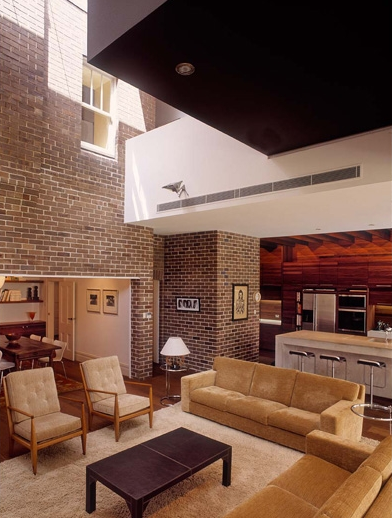 I must admit this renovation was a favourite of mine when I was lucky enough to visit this house a few years ago. I have been wanting to use these architects, Marsh Cashman Koolloos, ever since! 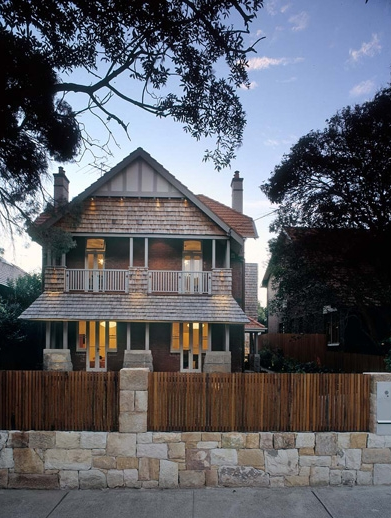 The project involved alterations and additions to a large Federation Arts and Craft style house front Centennial Park in Sydney. The clients needed a family home with open flowing spaces that connected yard, pool and interior, a contemporary refurbishment that respected the old house. A photo of the original street facade revealed a timber shingle clad gable and balcony which had disappeared over time. This was reinstated and minor restoration works were carried out. A lean-to kitchen/laundry was demolished to make way for a new addition at the rear. The new addition, including sandstone walling and shingles, while clearly contemporary in style, blends nicely with a federation palette sympathetic to the original house. Recycled materials used in the project include: recovered demolished bricks from the existing house; sandstone blocks found on the site, and recycled hardwood used substantially throughout ground floor and in the kitchen joinery. 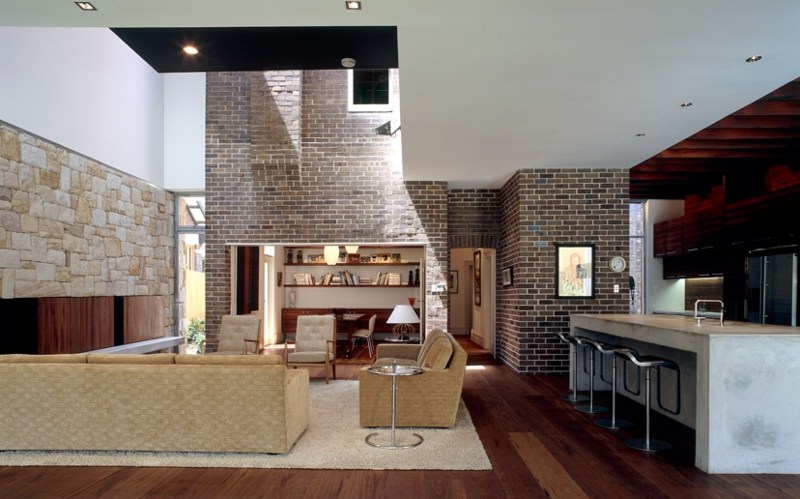 The idea for the addition was to totally engage the original house. This translates as a big shingle box that embraces the old house in a U-shape. 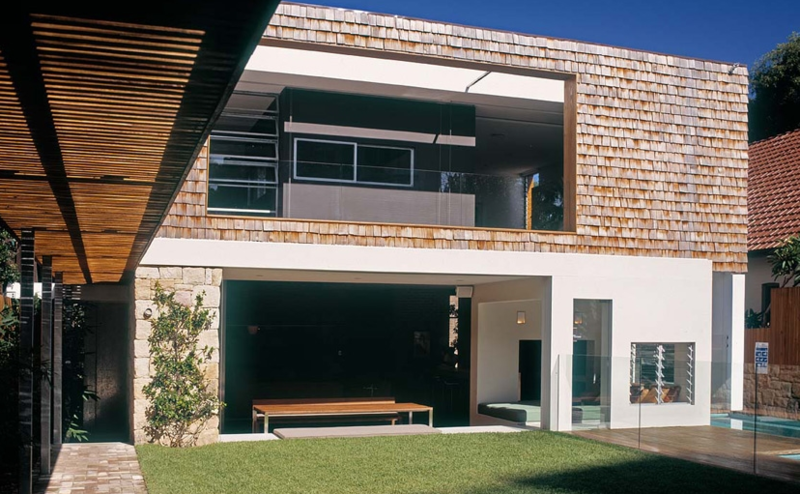 The house won a number of awards including in 2005 the prestigious NSW RAIA Residential Awards for Single Housing Alterations & Additions and Residential Buildings.